While walking around town, my bestie and I came across an organic store hidden in one of the alleys in the old town of Zürich. Of course we went in to check it since both of our households have changed diets. 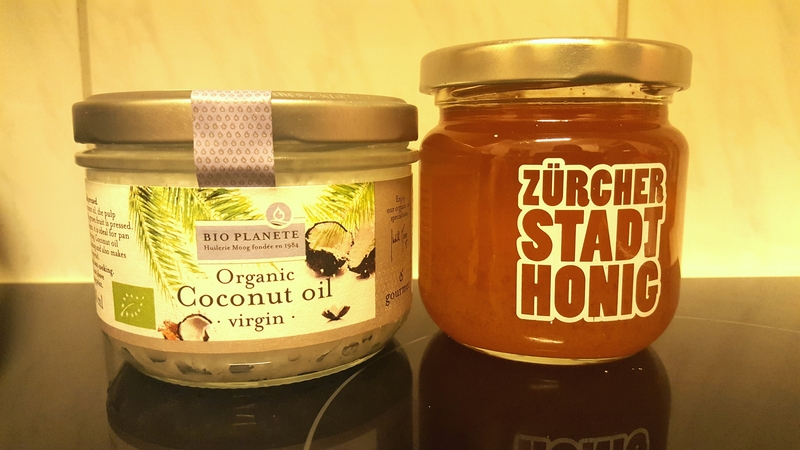 Apart from the organic coconut oil and honey (image below), I also got a bag of müsli (muesli) and immediately had to prepare a portion for the next day to give it a try. I paired this with about a cup of almond milk but you can also use orange juice or any kind of milk you like. Banana is my choice of sweetener but you can also use honey, agave or brown sugar to sweeten it if needed. 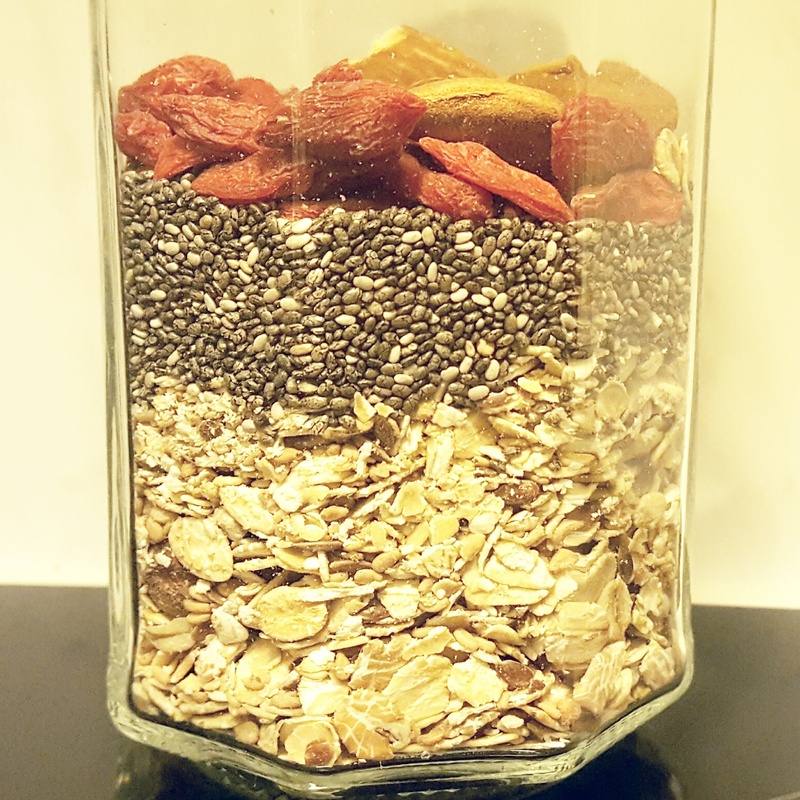 Let it set overnight and the consistency will be softer oats for easier chewing and digesting as well as gelatinous mixture due to the chia seeds almost like a sweet treat.